The Pagos del Rey winery – 6 km away from the historical city of Toro in the province of Zamora – was established in 1952. It was originally known as Nuestra Señora de las Viñas, later on it was named Viña Bajoz (1962) after the river that runs near Morales de Toro. It was Félix Solís Avantis who acquired the winery in September 2008 and renamed it as Pagos del Rey Toro. The winery currently produces 36% of the total production of red wines under Toro Denominación de Origen. 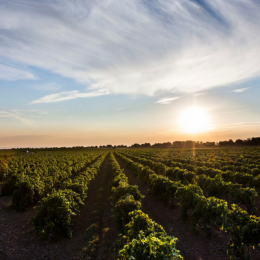 The Solís family is associated to family-owned vine growers that cover 1,700 hectares in the region. The traditional bush vine system of cultivation is still in use. Pagos del Rey Toro winery in Morales de Toro has recently become an attraction centre for wine culture and oenotourism. The region’s first wine museum was opened in February 2014. Caño Tempranillo Grenache is made from only the very best Tempranillo and Grenache grapes. These two-grape varieties blend together to create a wine that’s packed with the taste of cherry, mulberry and raspberry. Ouno is wine that has been elaborated from Tinta de Toro grapes from certified organic vineyards. Youth and environmental concern combine in a wine that displays the characteristic expression of this interesting grape variety. Sentero is a wine name inspired by two Spanish terms: “Sendero”, which could be translated into Italian as “Sentiero”, and “Sentimiento” (Feeling). Its label intends to convey the feeling of flowing along the vast vineyard landscapes in Morales de Toro while handpicking their yearly crop. Bajoz Roble takes its name from the river Bajoz that runs near Morales de Toro. It is made exclusively from selected and handpicked Tempranillo (Tinta de Toro) grapes, from vines between 30 and 40 years old. 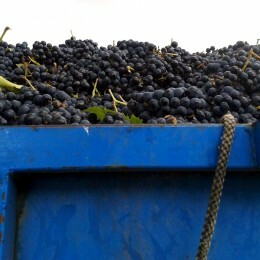 The harvest takes place during the last week in September. The grapes are specifically selected to produce a young and fruity, yet elegant wine. Caño Alta Expresión is made exclusively with the grapes that comes from low production vineyards. The grapes are handpicked by the end of September when optimum ripening conditions are reached. Bottling line output 4,500 bottles per hour. A 10-meter-deep underground barrel cellar carved in the rock that houses more than 4,000 American and French oak barrels. Total storage capacity: 18,000,000 litres.